U.S. Apple Association (USApple) forecast the 2016 crop Friday to be 246 million boxes/bushels, up 3% from both 2015 and the five-year average. The forecast was announced at the annual Apple Crop Outlook & Marketing Conference, hosted by USApple, which concluded Friday in Chicago, IL. The USApple forecast of 246 million 40-pound equivalents is just short of the USDA forecast of 248 million boxes. USApple has come closer with its forecast than USDA for the past 4 years in a row. West: 158 million boxes, up 5% from 2015, down 1% from 5-year average. Midwest: 34 million boxes, up 20% from 2015, 34% above the 5-year average. East: 54 million boxes, down 10% from last year, 2% off the 5-year average. As for the top five states: Washington, 149 million, 61% of nation’s crop; Michigan, 31 million, 13%; New York, 30 million, 12%; Pennsylvania, 11 million, 4%; and Virginia, 4 million, 2%. The Outlook Conference was attended by industry leaders from the U.S. and around the world from all segments of the apple industry, including production, packing, processing, sales, marketing, and new products. Every year, more than 300 of the industry’s best and brightest gather at the conference seeking answers. It is the industry’s premier one-stop source for high-level networking. This past week growers and others heard from industry experts about such wide-ranging issues as food safety and the impact of Brexit on the global economy. 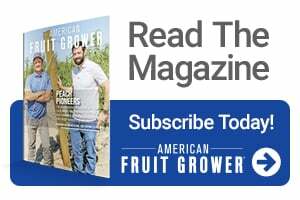 Each year, American Fruit Grower® and Western Fruit Grower® magazines honor one grower as Apple Grower of the YearSM. This year, the award, which included a video tribute, went to Scott McDougall of Wenatchee, WA. 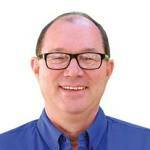 For more on the conference, check out the tweets of Meister Media Worldwide U.S. Horticulture Executive Editor Richard Jones, @Richard_AVG_AFG , and David Eddy, @dave_wfg_avg, Editor of American Fruit Grower®and Western Fruit Grower® magazines. Awesome article. Thanks for your nice post.